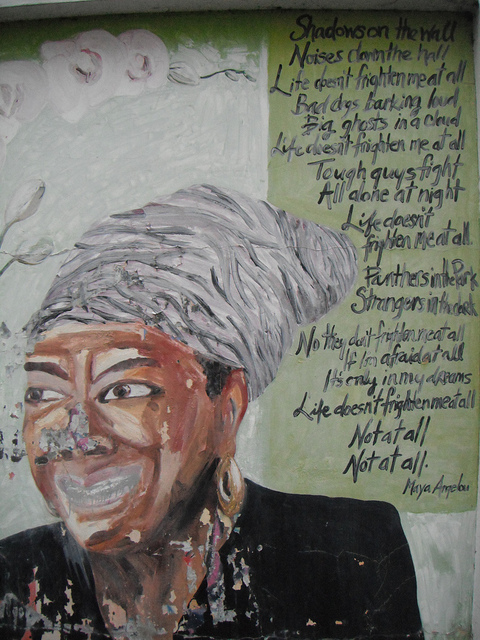 Six Big Life Lessons I Learned from Maya Angelou. The first time I heard of Maya Angelou was in my eighth grade English class. Like Angelou, I was a child who’d been traumatized, scared, uprooted. Like her, I was a little girl who loved to read, and who was, largely, silent for many years because of the pain I’d endured when I was very young. After reading the book, I continued to count Angelou as a hero of mine. I read every work of hers that I could get my hands on, and never missed an episode of “Oprah” when she was a guest. Years later, as an adult, I got to see Angelou speak in person at an event in Atlanta—it was life changing. When you know better, you do better. The original quote is, “I did then what I knew how to do. Now that I know better, I do better.” But the message is the same. This is a quote about forgiveness—forgiveness of ourselves and of others. Speaking these words has helped me let go of past hurts. They help me feel compassion for others and for myself. Sometimes the people in our lives couldn’t take care of us, or be there for us the way we needed, or love us better because they simply didn’t know how at the time. They did the best they could. The same goes for ourselves. I’ve made some terrible mistakes in my life. I’ve done stupid things in the past, but when I look back it was because I was doing all I knew how to at the time. Now that I am older and have learned more, I can do better and forgive myself for past errors. Quiet people can find a voice through writing. I was always painfully shy. Even as an adult, I am extremely introverted and avoid large groups of people, especially if I’ll be asked to speak. But I truly shine when I’m at my keyboard. My truest voice comes out in my writing—this is the revelation I had when I was 13 and read I Know Why the Caged Bird Sings. Quiet doesn’t mean stupid. There are other ways to speak loudly than with our mouths. My voice resounds from my fingertips. “People will forget what you said. People will forget what you did, but people will never forget how you made them feel.” These words continue to resonate with me. I have social anxiety and can dwell on some awkward thing I did for years after, replaying it over and over in my head. But Angelou is right. People always forget the specifics, yet they remember the feeling. When I get anxious about saying the wrong thing, I switch my mindset and focus on how I can make others feel. I stop thinking about myself and how I’m going to come off, and start thinking about how I can best make the people around me feel loved, cared for, accepted, included, and validated. “You can only become truly accomplished at something you love. Don’t make money your goal. Instead, pursue the things you love doing, and then, do them so well that people can’t take their eyes off of you.” I had a hard time as an adult finding a career path that suited me. I loved one thing—writing. But this seemed like an unrealistic goal, so I thought I should do something more practical. Yet every time I tried to do something else, I was miserable. Finally, in grad school, I switched my major to Creative Writing. After that, because I was working hard every day on what I most loved, everything else fell into place. I may not have the six-figure fortune of a doctor or a lawyer, but the success I’ve had in writing and in teaching adults has brought me priceless joy. Words mean something. When I went to see Angelou speak in Atlanta, she dedicated a large amount of her lecture to explaining how we must always use our words for the highest good in every situation. Words have energy. Words can hurt or they can elevate us, collectively. She spoke extensively about recoding words, like the N-word, and how that was a bad thing. Vile words cannot be made good regardless of context, she believed. Words have histories and lives and spirits. Use them carefully, mindfully, and with good intentions at all times, because language is unbelievably powerful. How to make the world’s greatest banana pudding. Here is the link to the recipe, courtesy of O, The Oprah Magazine. Try it—it is truly transcendent. Angelou was truly one of the great voices of her generation, of her community, and of the entire human race. She was an enormous inspiration in my life, and I will always be thankful for her wisdom, her beautiful words, and the sacrifices she made in her life to learn lessons that would benefit us all. May her beautiful memory live on forever. Totally amazed! After reading so many things about self search without coming close to finding myself,this is it! It's like you have opened a door that has been closed for many years for me to pass through, and you did that in a short passage!! Thank you ever so much!!!! Maya Angelou is so quotable! Love her perspective on things. I am very happy I found this and read it, today especially. Remember that too. You were writing for me. 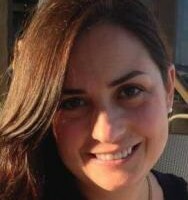 Victoria Fedden is a writer and a mom from South Florida. Her memoir This is Not My Beautiful Life was published June 2016 by Picador USA. She teaches college writing, and blogs on her website. Her essays and articles have appeared in Real Simple, Chicken Soup for the Soul, The Huffington Post, Redbook, Elephant Journal, Scary Mommy, Babble, and The South Florida Sun Sentinel, plus various other publications. Please visit her Facebook page for updates.